This entry was posted on October 12, 2006 by stufffromthelab. It was filed under Elections 2006 . I think it is important to vote because if we don’t vote than we have no way of choosing who will be the governor, or mayor or president. We will not be able to choose who makes our rules. If we don’t vote we don’t have a choice in what happens in our country. The way I see it most people are not happy with the way the world is today. I think back to hurricane Katrina and I remember how upset everyone was. All of those people dying in floods. Everyones home destroyed. They still have not rebuilt New Orleans. That is one thing we have to do rebuild. I think it is a matter of responsibilty. We need people to be responsible. Voting also means being responsible. If we vote we say how we want things in our world. I want to live in a world that is clean, with clean air and water. I want to live in a world where there are no guns on the streets or drug addicts dying. I want to live in a better world for everybody. That is why it is important to vote. I hope thay vote for Joun Faso this year . I don’t thank it’s a good idea. to take only 5 people to vote .Why not 25? why not 50? Take peple and vote. I think it is important to vote. People pick the leaders that will make the laws. We need to pick better leaders. We cannot keep picking leaders like Bush that do not do anything. In some countries they dont’ vote for a new president or mayor or governor . There is only a king or a ruler. The problem with this is you never get to pick a new person. If they do a bad job. The people have to live with it. In our system we vote. The thing is many people complain and then do not bother to vote. If you don’t vote you cannot complain. I would like t vote but I am not old enough. If I could vote in the Governor’s election I would vote for John Faso. He says he will make New York a better place for us and lower taxes. and vote for them. That is why voting is so important. If you don’t vote you don’t get to choose. It is important to vote, because if you don’t vote, then no one would win. We would have no leaders. I can’t believe that only 50% of the people voted in the last presidential election. It is as if they have no fight in them. Don’t they care about our world? It is very important to vote . Just look at the world we live in. We have serious problems. We have one chance to make things better. That one way is to vote. In our country we can pick our leaders. If they are bad we can get rid of them. Why is it imporant to vote. It is important to vote when you think about that we are at war. If you do not vote for a leader that will end this war the war will just keep going. A vote represents you in the world. If you donot vote you do not get represented. A vote is very important. It is your voice in the world. When you vote you are heard. You are participating. Many people fought for their right to vote, like Dr. King. Other countries do not get to vote. That is why they hate America. They are jealous of our freedom. We have the a voice and we are free to use it. 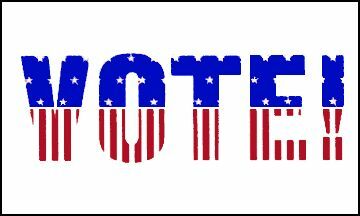 Vote use your voice and be heard. Voting is very important. It is one of the most important things you can do. I think about the things that need to be better in our world. It is hard to believe that some people do not vote. When I am old enough I will always vote. Not all people vote. I do not understand this. Everyone has complaints about our government but these same people do not vote. If you want things to get better you must vote. over guns. people use gun too kill.That is not good.Some people wont too live for a very long time. this site has helped me soo much!! Voting is important, beacause its a way of expressing yourself. Many people complain about government, but they dont do anything to change it. I think that people should vote, not only to help themselves, but also to help the county in wich they live. We have democracy, and we are really lucky, some places are ruled by Kings or Queens, and the citizens cant change that. We can, but not everybody votes, what does it take you to vote. I still cant vote, but I will when im 18. Remember, if you vote, you have a voice, if you dont vote, you cant complaine. Voting is a responsibility that we as citizens need to take seriously. With just over 50 percent of eligible voters voting, it seems that we are not doing our part. However, while I do support voting, it is important to know that our votes are only part of an actual election. In our world today we have so many things to keep in mind when voting such as: climate change, the war on Iraq, obesity, social security, illegal immigration, and many more. And with this year being a major election year, I think that it is important that we all realize that our votes won’t even be the deciding factor in the outcome. It is the decision of the Electoral College. So, is your vote still important? Yes.